USC dance majors are working to fill large, legendary shoes under the guidance of expert faculty. The Spring Dance Performance at the USC Glorya Kaufman School of Dance will feature work by three of the dance world’s “Living Legends”: Jiří Kylián, Paul Taylor and William Forsythe — choreographers with whom the faculty share a great connection. Two showings of the performance set later this month will be sponsored by USC Visions and Voices, featuring a pre-performance talk led by Hubbard Street Dance Chicago’s artistic director Glenn Edgerton. He will provide a glimpse into the motivations and practices that shaped the pieces by Kylián, Taylor and Forsythe to be performed by the students. Faculty members Fiona Lummis, Patrick Corbin and Thomas McManus worked with these choreographers throughout their own careers and can attest to the honor and challenge the USC students are taking on in performing such legendary masterworks. Alongside Edgerton, Corbin and McManus will also speak at the event. Lummis, who teaches at USC Kaufman as a faculty artist in residence, is responsible for staging and rehearsing Kylián repertoire. She danced professionally for 20 years with Nederlands Dans Theater and created roles in 15 of Kylián’s ballets. She can be seen on many of the Arthaus films of Kylián’s ballets, including the “Black and White Ballets” and “Kaguyahime,” and she continues to work with the Kylián Foundation to this day. 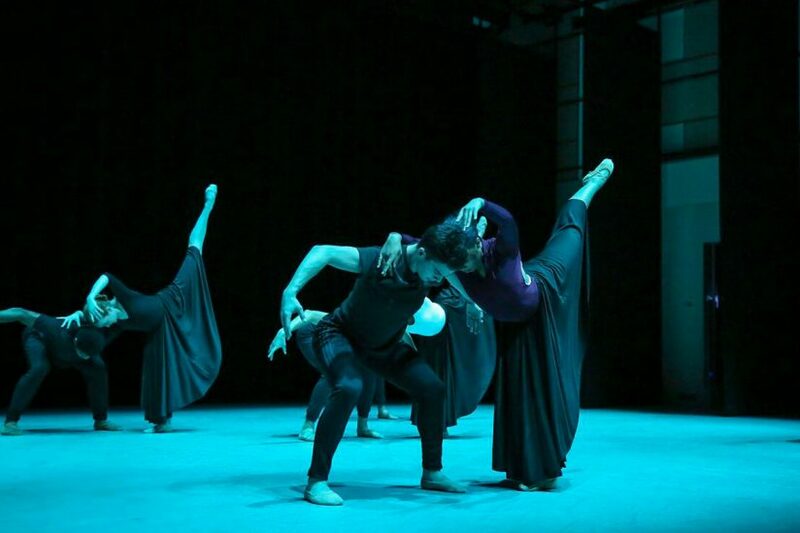 Beyond teaching the steps of the ballets as Kylián originally crafted them, Lummis is preserving the legacy of a living artist whose significant and evolving body of work is deeply personal, rooted in emotion and the complexity of the human condition. Kylián’s impact on the dance world also stems from his two-decade career as the acclaimed artistic director of Nederlands Dans Theater. Under his directorship, he offered artistic opportunities to many artists who have since gone on to have significant careers of their own — Forsythe among them. Stamina, technique, artistry, pretty much everything that it is to be a good dancer is asked of you. “Stamina, technique, artistry, pretty much everything that it is to be a good dancer is asked of you,” Lummis said of performing his repertory. Brendan Evans, a sophomore dance major, will be tackling these demands this semester. He will perform in Kylián’s “Forgotten Land” at the Spring Dance Performance. “Kylián’s work requires the dancer to be extremely mature on stage, and perform simply and quite vulnerably, which is an extremely necessary tool to have in performance,” Evans said. 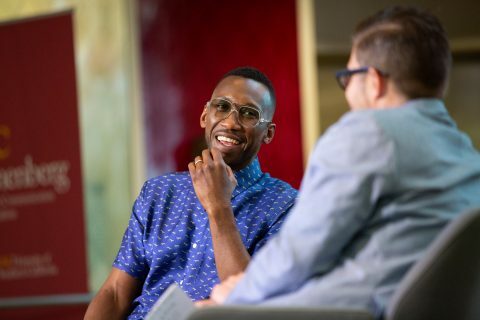 Like Lummis, Corbin — USC Kaufman’s assistant professor of practice for contemporary, modern and repertory courses — is setting a work to which he has great personal connection. Corbin, a celebrated dancer of 29 years with the Paul Taylor Dance Company, is setting Taylor’s piece, “Cloven Kingdom,” for a third time at USC Kaufman. Although junior Justin Epstein will not be dancing “Cloven Kingdom” as he has for the past two years, he can appreciate the challenge. Epstein’s biggest draw to Taylor’s choreography is its simplicity, but also its deconstruction of traditional gender roles in dance. This melds into Corbin’s view of the choreographer’s legacy, which he sees as one of accessibility. The story with Forsythe is different, according to McManus, an assistant professor of practice for ballet, contemporary and repertory classes at USC Kaufman. In this case, McManus, who danced nearly all of Forsythe’s new works from 1986 to 1999, is setting a masterwork alongside its choreographer. Forsythe is a member of the USC Kaufman faculty and regularly sets repertory and creates new works for the school’s students. A small cast of dance majors will perform Forsythe’s masterwork “The Vertiginous Thrill of Exactitude ” in the Spring Dance Performance. Amid the process of this collaboration, McManus spoke to the aspects of Forsythe’s choreography that differentiate him from other legends who are still working today. 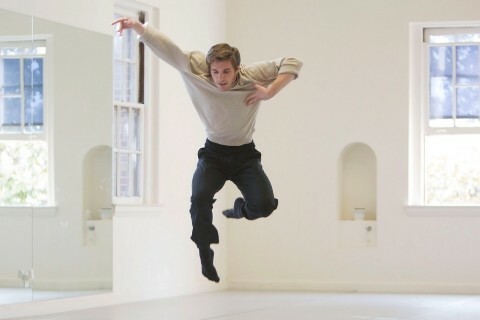 McManus says other key aspects of Forsythe’s legacy included his close, almost peer-like relationship with his dancers and the advent of the Forsythe improvisation technologies, which allow him to generate many works in a short amount of time and occasionally bestow upon the dancer the responsibility of being a real-time choreographer, of being a composer of time and space while onstage. Given Forsythe’s close relationship to USC Kaufman, the dance majors are able to reap the benefits of working directly with such a choreographic legend. For one student, junior Ardyn Flynt, working with Forsythe, who is beginning to weave aspects of hip-hop into his new works, has been refreshing. “I think this is different from other legends his age who still keep their old repertoire, and keep it in its original form, which is equally valid, but Bill is willing to take his work and put it in a more relevant rhythmic sensibility,” she said. “Living Legends: USC Kaufman’s Spring Dance Performance,” will take place April 26-27 at Bing Theatre. Admission is free and reservations are required. School of Dance brings on new faculty members and artists in residence.